Representatives of several Assyrian associations attended an emergency meeting as a direct result of several stores in Tynnered being scrawled with threats and messages linked to the terrorist group IS. The purpose of the meeting was to discuss the situation in Gothenburg where many Assyrians feel insecure and persecuted. About 10 thousand Assyrians, a Christian ethnic group originating in the region that is modern Syria, Iraq, Iran and Turkey – now live in Gothenburg in Sweden. They are extremely worried of the developments they see. They say Gothenburg, Sweden’s second largest city is one of ISIS recruitment bases and we hear about people who express sympathy for IS in Tynnered. Imagine fleeing persecution in one country and then finding yourself living next door to a IS-sympathizers in what you believed to be a safe haven. Joseph Garis, president of the Assyrian district of Gothenburg, one of the largest community groups for Assyrians in west Sweden says, “It is everyday life for many people”. 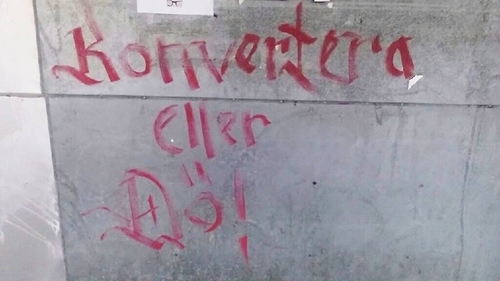 In an interview with The Gothenburg Post, Joseph Asmar, the owner of a pizzeria in Tynnered said when he went to open the store on Sunday, he found someone had written the words “Convert or die” with a red pen on the premises, even the Arabic letter nun((ن)=N) had been painted next to the shop door. The letter nun is the first in the Arabic word nasara used as a word for Christians. 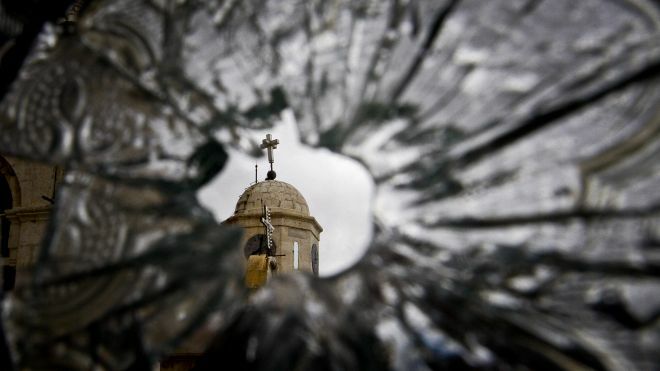 In the Iraqi city of Mosul, the letter has been used by the terrorist group to mark the houses of Christian families. The families who received the Islamic glyph for ‘N’ symbol sprayed on their doors were invited to convert to Islam, pay a special tax or die before ISIS took control of the city in 2014. Thousands of Assyrians fled country fearing the jihadists would take their lives. . 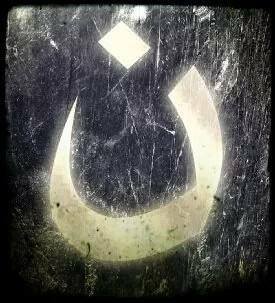 In Syria and elsewhere in the Arab world, the ن has come to be a sign of persecution, marking inhabitants out as devotees of Nazareth – Jesus Christ – and thus fair targets for persecution. 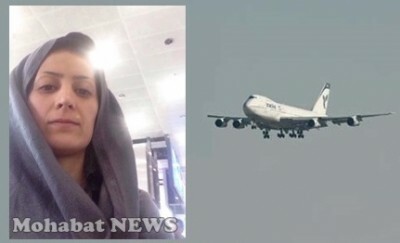 “It is extremely uncomfortable that this has come to Gothenburg, Sweden. There is no doubt that it is directed at the Christians and Assyrians”, said Yusuf Asmar who runs the pizzeria with his brother. – It feels like persecution of Jews in the 30th century when Jews in Germany had Stars of David painted on its doors. Now it happens here, says Yusuf Asmar. Both Yusuf Asmar and Joseph Gari indicate that Assyrians is a group which is particularly exposed by IS. Last week released the terror group a video which executes three Assyrians by shooting them in the head. – In the 80’s was the Nazis who created concern among Assyrian and other immigrant groups. Now it IS plus it’s on a whole different level. Politicians and police need to wake up now. It is not enough to speak of IS and various investigations. Concrete action is needed now, says Josef Garis. According to the police has been established in the police force graffiti at Opaltorget. Possible offenses are vandalism and assault. But according to Inspector Bertil Claesson, the crimes are difficult to investigate. – No witnesses or forensic evidence that can be traced, it is almost impossible to investigate such cases. The only possibility is if someone has seen something and we get tips from the public, says Bertil Claesson. He points out that police in the West Region to launch a special hate group after the end of the year which will only work with similar cases. But until they are treated as ordinary cases. Pizzeria owner Yusuf Asmar adds however, greater responsibility on the politicians. – It feels like the IS-followers can come and go in Sweden as they please. At the same time, we Assyrians feel unsafe. Politicians must take it seriously, says Yusuf Asmar. Christian refugees now facing persecution in unlikely places. Östra Småland reported that a group of Christians asylum seekers have been forced to move from asylum accommodations in Kalmar County after being harassed and threatened by fundamentalist Muslim residents. The Christians feared for their safety after it was demanded that they stop wearing Christian symbols, like crosses around their necks. And that they were not welcome in common areas, such as kitchens when the aggressive Muslim group was there. Michael Lönnegren, a deputy director of the Migration Board’s premises in Kalmar County confirmed that the group of Christians asylum seekers felt compelled to move due to conflicts with Muslim residents. He said, “It is of course totally unacceptable that something like this happened.” He added that the Migration Board was seriously looking into the matter and would try to ensure that something similar would not happen again. Lönnegren emphasized that it was not the Swedish Migration Board who decided to move the Christian group. That it was a decision they made themselves, and they had also arranged for new accommodation on their own. There is no division in the ethnicity or religion of the Migration Board’s reception centers. People from different sides in a conflict may thus end up in the same accommodation. Lönnegren said they assume that those fleeing to obtain a haven in Sweden will also abide by the country’s laws when they get there. That based on the shortages of places for asylum seekers, it would be impossible to make a distinction based on their religious beliefs. He assured that events such as the this does not happen often, but when it does—it’s taken very seriously by the Migration Board. Similar incidents have been reported previously from the Swedish asylum accommodation. In Germany and Denmark, however, the discussion has been more lively. In Germany, it has been required that special asylum accommodation be set up for Christians. Last year 81,301 persons applied for asylum in Sweden. A large majority came from Muslim countries. 30,000 came from Syria, 11,000 from Eritrea, 5000 from Somalia and 3,000 from Afghanistan, 8,000 were stateless, mostly Palestinians. More than two out of three asylum seekers were men. 54 000 men applied for asylum, but only 26 000 women. Christian asylum seekers in Sweden come mainly from Syria and Iraq. “In my contact with my employer or a prospective employer, I have talked very carefully about my inability to perform abortions based on my Christian faith, my sincere religious conviction. A Christian woman in Sweden has been unable to find work as a midwife since a hospital where she interned last year let her go for refusing to help perform abortions.